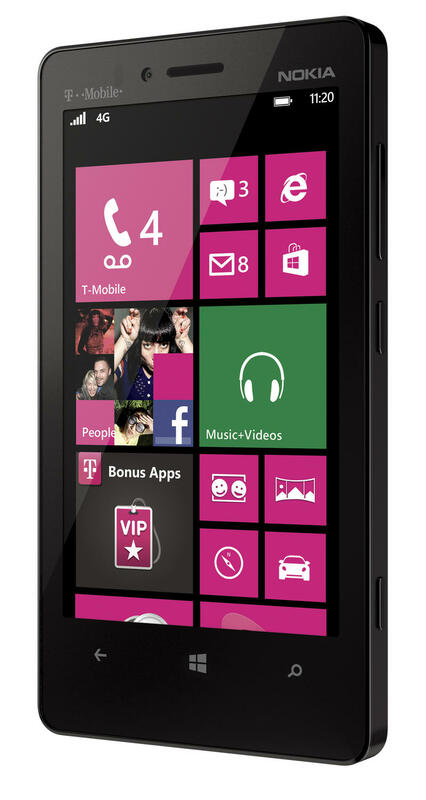 T-Mobile will exclusively offer the Windows Phone 8 equipped Nokia Lumia 810 in the coming weeks, the carrier announced on Monday. It’s a pretty slick looking handset as you can see above, and offers all of Nokia’s exciting apps — Drive, Cinemagraph, Group Shot, Nokia Music and City Lens, keeping up with the Finnish company’s Lumia 920 and 820, which are both hitting AT&T. The handset comes equipped with a 4.3-inch OLED WVGA Clear Black display, the ability to exchange shells for color personalization and an 8-megapixel rear camera with Carl Zeiss optics. Other than that, the carrier didn’t seem to want to share the device’s guts, but we’d guess it’ll closely resemble AT&T’s 820: 1GB of RAM, 8GB of internal storage (microSD expandable), and 1.5GHz dual-core Snapdragon S4 processor. You won’t find it to quite be the flagship experience of Nokia’s Lumia 920, but it’ll certainly appease those looking to try on Microsoft’s new Windows Phone 8 for size. It definitely sounds like it has Nokia’s famous stamp of quality, which will no doubt entice T-Mobile customers this holiday season. No price or launch date was shared, so look out for more information soon. BELLEVUE, Wash. — Oct. 8, 2012 — T-Mobile USA, Inc. and Nokia today announced the upcoming availability of the Nokia Lumia 810 — an exclusive to T-Mobile. The new Windows Phone 8 smartphone offers an enhanced camera, simple design and integrated navigation features. Combined with the only unlimited nationwide 4G data plan, T-Mobile customers will see a superior value with the Lumia 810, the latest addition to T-Mobile’s expanding lineup of Windows devices.